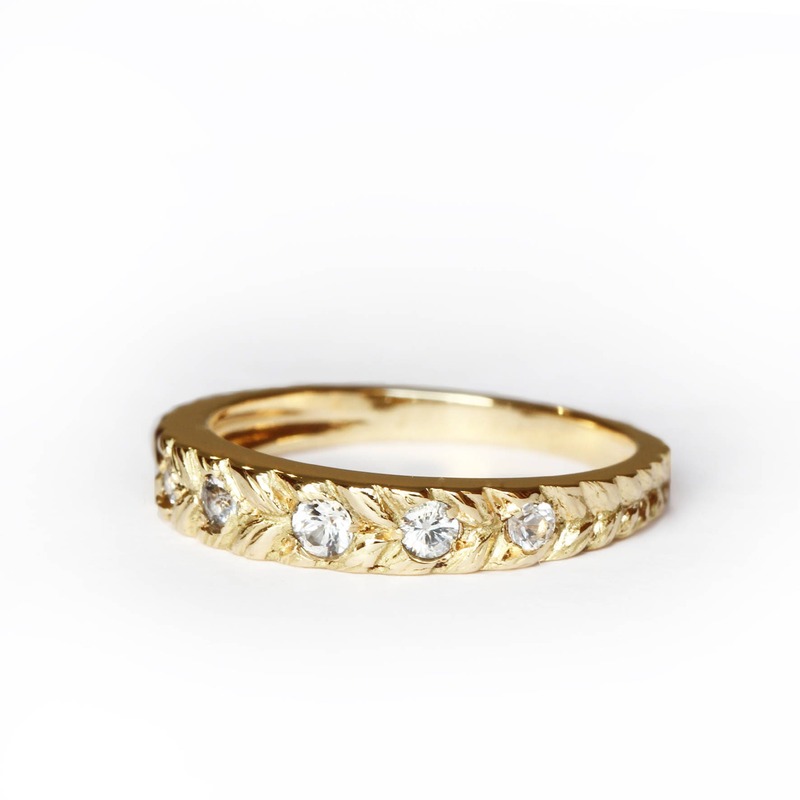 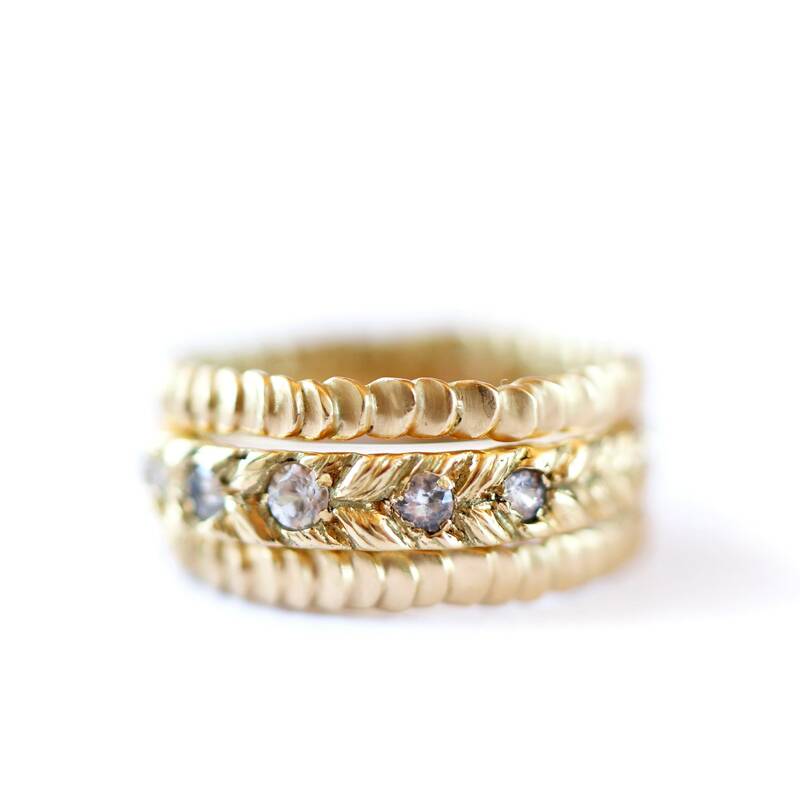 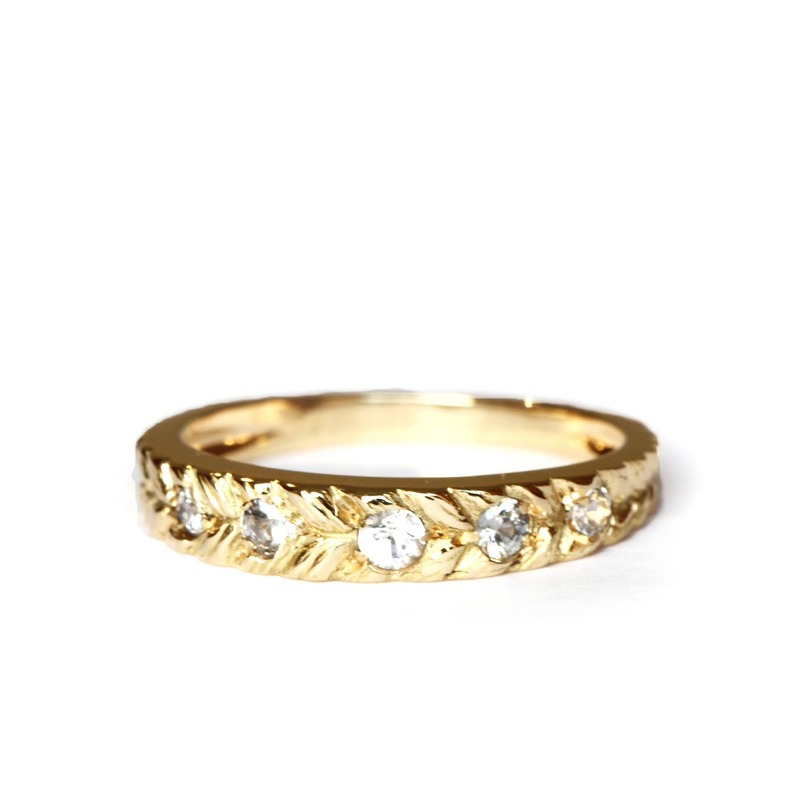 Handcarved band in 18 ct gold, this ring hold 5 graduated white sapphires set into 4 granulated claws. 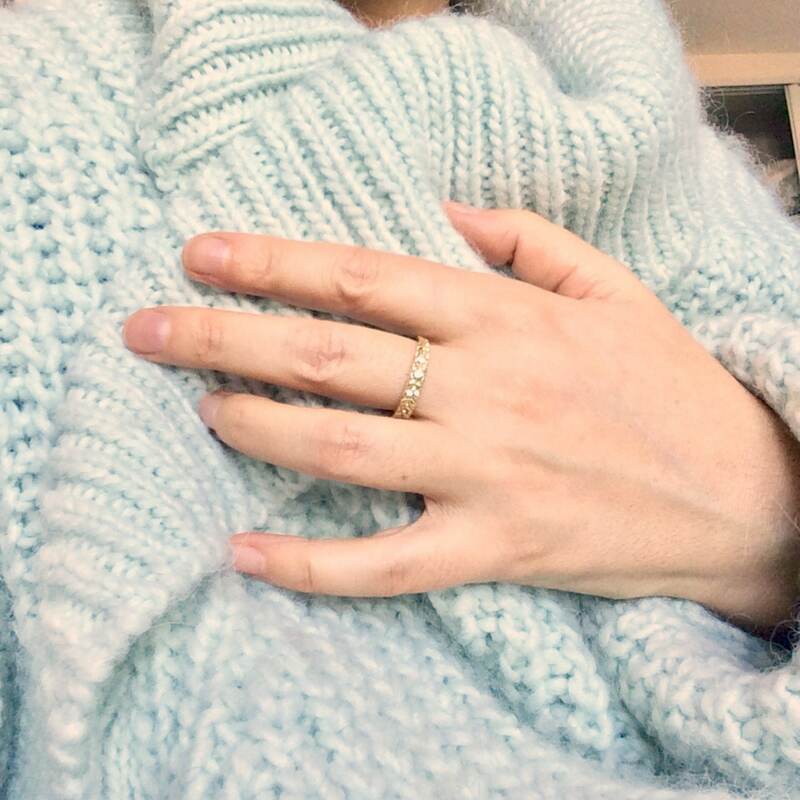 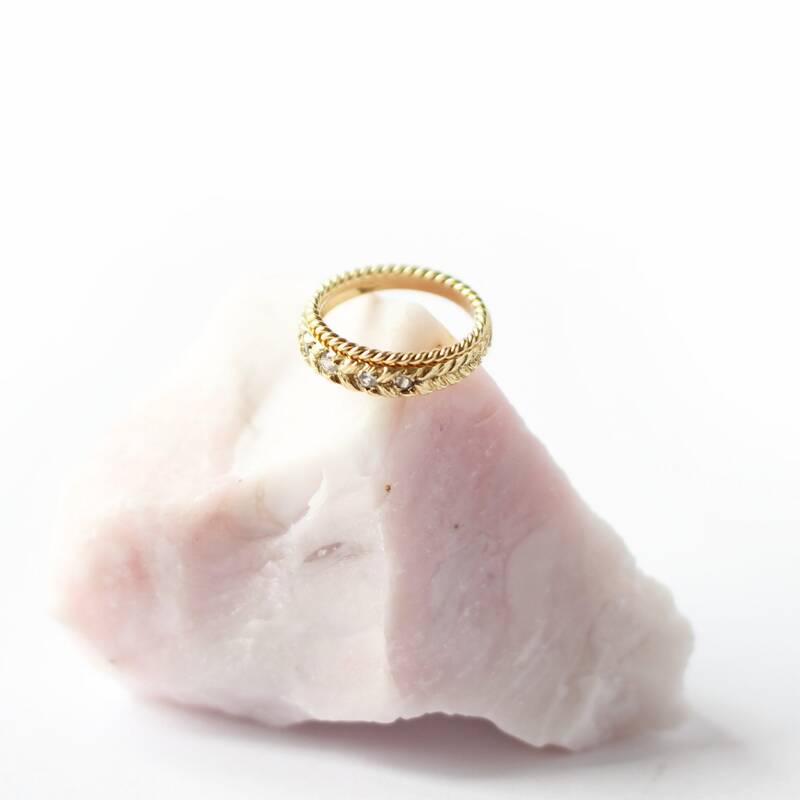 Can be ordered in different colours, it is a very confortable and classical shape that will sit nicely next to many other stacking ring. 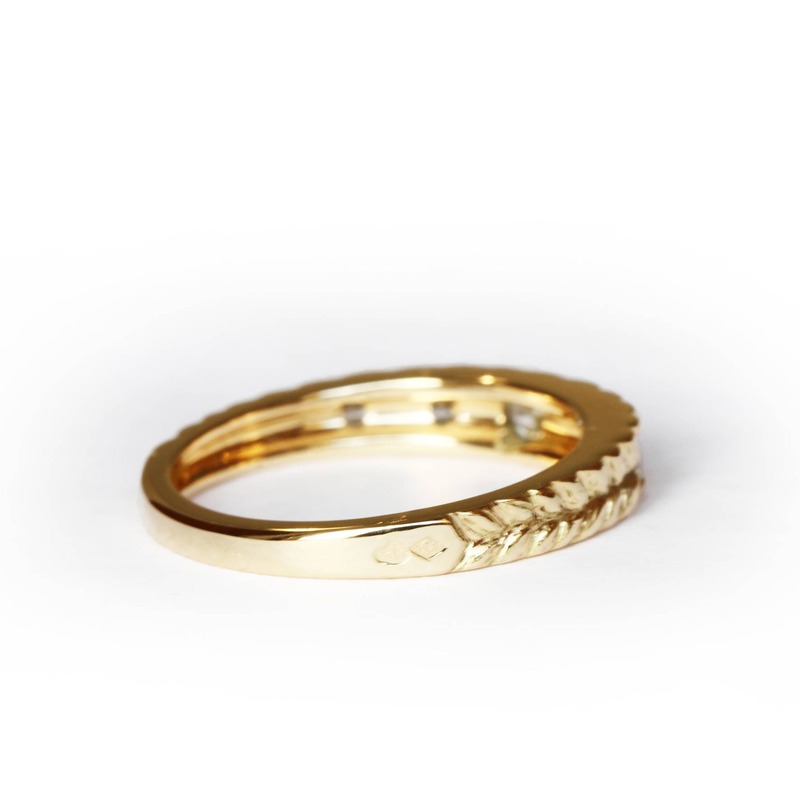 Can be use as an engagement ring, as a wedding band or an everyday's jewellery.